Ibrox Noise: Three in, three out - Steven Gerrard's dramatic change up front at Ibrox? Three in, three out - Steven Gerrard's dramatic change up front at Ibrox? With Steven Gerrard hot on the heels of both Bournemouth’s Jermaine Defoe and Swansea City’s Oliver McBurnie, Rangers’ striking options looks set to dramatically change this summer. Reports are that Jason Cummings’ hopes of becoming a Rangers player are hanging by a thread at best, and while there has been conversation about it, it has not moved further along due to Rangers holding fire based on further outgoings and incomings. In short, it appears Cummings is not a top priority and the possibility of him becoming permanent depends on who actually comes in and who leaves. And that brings us onto Alfredo Morelos – Gerrard, it seems, is ruthless. He wants players who fight for the shirt, and while Morelos’ team play outside the box is good, his attitude isn’t and it has been evident to even the most ardent fans of the Colombian that his heart isn’t in Govan. In short, Rangers are listening to offers for the 21-year old. With Eduardo Herrera facing the exit door too, Stevie Ger really appears to be ready to completely overhaul Rangers’ striking options, and chances are high that a completely new forward line will be at Ibrox next season. Jermaine Defoe and Oliver McBurnie are both heavily mooted for the switch, while Liverpool’s wing talent Harry Wilson has been close for a long time as well. It could well be Cummings, Morelos and Herrera out, with Defoe, McBurnie and Wilson in. One thing missing from that lot is a big strong reliable target man up top – but then how many teams actually play with those these days? Whatever Rangers end up with, it appears it’ll be one heck of an upgrade. Morelos is still young and sometimes a new coach can change players attitude,he's a strong player and can score ok he's had a had a spell not scoring but that happens to every striker,i don't think gerrard will let him go unless it's for funny money. I don’t think Cummings done enough while he was here, and I think Gerrard will feel he can bring in better. Morelos we need to resist any loan deal and command a 6 million fee. Herrera is hopefully gone for good. The three in you mention wouldn’t excite me. Is McBurnie better than Cummings? I’m not so sure. Certainly he demonstrated for Scotland that he is no better as the lone frontman - Morelos plays the position much better. The main thing missing for me is that Rangers need a physical presence up front. You can see with Celtic how much Dembele’s physicality bullies defenders. Rangers have not been able to cope with it in any Old Firm game in the last two years - while even a physical side like Motherwell struggled with him at Hampden. Hoping that Gerrard can get someone like Solanke on loan. Defoe I just don’t see happening. Mcburnie scored more goals in the championship for a team that that finished lower than Cummings did. Mcburnie 9 goals 17 games. This seems to suggest mcburnie is better. Herrera has went back to Mexico and he himself says he will never return with Chivas looking like his destination. Cummings, I know U all have UR soft spot for him, but it would also be soft wasting money on him, he did have 100's of chances every single day in training. Just not good enough simple. Wilson's coming for a year on loan so he's a luxury . That leaves Escobar & McBurnie so better keeping ⬆️ for me. Morelos is only a young lad and has shown he has the attributes required. I believe his game would go up a level or 2 playing with better players. Cummings is a difficult one, he has talent for sure and is a self proclaimed big game player. Whether he has a level or 2 in him is what I doubt. He has scored all his goals in the championship and done nowt at Forrest & Gers. People will say he hasn’t had the chance but that may be due to his game lacking or his work in training. I would like to see him stay but only if it were a cheap deal. Defoe is too old. Older guys pick up too many injuries. And it’s a pension for them. OK Weir and Giggs. But they were exceptions. Dont go for Defoe! Hes 35! It would be madness to let Morelos go, what would we get for him compared to last jan ? It’s to his credit that we all forget he’s the same age as mccrory,. I would keep him as he has enormous potential that Gerrard &macallister could untap especially with better players around him. 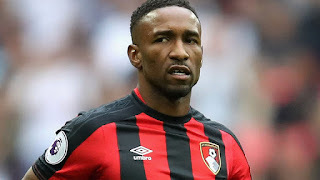 I actually feel he would be better behind someone like a defoe or similar, to me he is a battering ram who scores goals rather than the other way round.we just need a manager who can see this & adjust the team around him,this could also be where the so called bad attitude comes from it’s pure frustration from the pressure heaped on him to be the main scource of goals in a poor team. As for Cummings??? He is a puzzle, unless we get him for a knockdown price i would.leave forest to work him out. We can’t just sign players because they’re a bluenose,that hasn’t served us well recently (with the exception of Jamie Murphy). The first acid test will come soon in Europe not sure if we will be playing any big names in first round not sure how many rounds we must play but this should be our goal to make it in to the groups,so SG needs all his players in as soon as no slowing down now.bring it on. Can't see Defoe coming here - ignoring the cash doesn't seem to be something that footballers (or most likely their agents) ever consider, and he would be looking at a massive pay cut. No real reason to flog Morelos unless we are talking serious money - based on his 2018 form, that's unlikely. I'd take a punt on Cummings but only on a free - he's only ever proved he can play in the Scottish Championship but I really like his attitude. I mean, insisting he's a "big game player" - can anybody think of one that he's played in? This is rubbish, Stevie G hasn’t even started on the job. All these signings have been plotted for weeks or months before SG was even considering the job. When Souness signed up he hit the deck running. Sorry I don’t see this here!